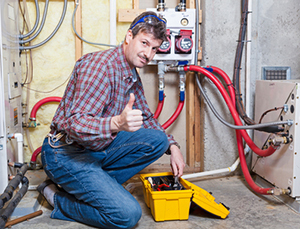 Are you in the market for a New Hyde Park Electrician? The team at Sure Line Electric is fully licensed and constantly trained to keep ahead of industry standards. We know that technology changes rapidly and it is our duty as electricians to be prepared for anything our customers may need. Whether you need wire repairs, a ceiling fan repaired or an electrical panel upgrade, we are ready to help you with anything electrical-related. Any time you need an experienced New Hyde Park electrician, please feel free to give us a call. We are here for your electric needs. Your electrical system should only be serviced by a licensed electrician. We have years of experience helping our customers diagnose and repair faulty wiring, non-working outlets and many more electrical problems commonly, and uncommonly, encountered in a home. We are well trained in all of the latest safety standards to protect your home and appliances. Before you try to tackle an electrical problem yourself, please be aware that the untrained hand will most likely do more harm than good. Don’t be afraid to call us any time you experience decreased efficiency in your home electrical system. Have you recently remodeled your home? If so, you should probably look into getting an electrical panel upgrade. The electrical panel houses the circuits that control the flow of electricity to certain parts of your home. When the load is too great, a breaker is designed to “pop” or switch off to prevent damage. A home remodel most likely means that you upgraded your appliances. Modern day appliances use different electrical loads than those of old; meaning that your current panel might not be up to the task. Give us a call and we will help determine whether you current panel is out of date or not. Electrical inspections should be a part of your home maintenance routine, especially if your home is over 30 years old. Inspections are designed to test the entirety of your electrical system for any faults, malfunctions or anomalies that will harm your appliances and result in decreased electricity or worse. We follow a comprehensive list of items to check to make absolute certain that your system is in perfect working order. These inspections also help identify troubled areas so we can recommend a course of action for repair. Give us a call to learn more about our New Hyde Park services or to schedule an appointment at 631-240-9663, or fill out our request service form.